Deciding to move into a care home can seem daunting for some older people and their friends and families. 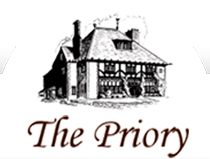 There will be many questions and we will be delighted to show you round The Priory and introduce you to members of staff at your convenience. If you choose the Priory as your care home, we would like to meet you again before you move in. The purpose of this is to get to know your personal, health and social needs. At all times your preferences and choices, wants and wishes, hopes and expectations will be taken into account. By doing this, we can ensure that we are able to prepare your care plan and our staff will be aware of your needs. The care plan sets out the objectives for your care and how we hope to achieve them; it may also incorporate any necessary risk assessments. At least once a month, your plan of care will be reviewed, setting out changes that may have occurred or need to occur in the future. You always have access to your plan of care and are encouraged to participate as fully as possible in the care planning process. Fees are based on the size & location of the room and the level of care provided. They are fully inclusive of all charges for accommodation, personal assistance, caring and meals. Personal laundry is done in the home and this service is included in the fees. Newspapers, chiropody, hairdressing, trips & outings and dry-cleaning are charged as extras at cost. Full details are set out in the terms and conditions which are available on request.